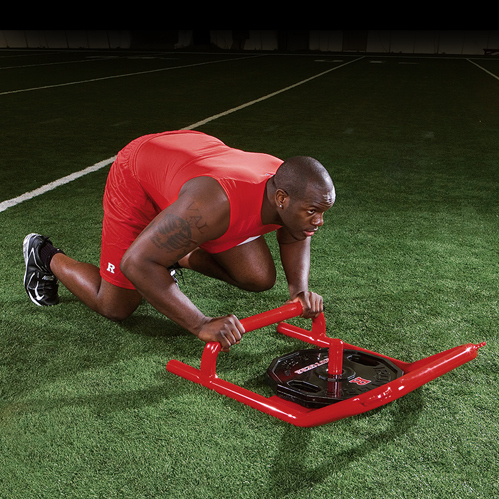 The CRAB SLED turns speed training into functionally explosive power. Unique design offers two methods of resistive training. Get down in a crab stance, grip the handlebar and push the sled. 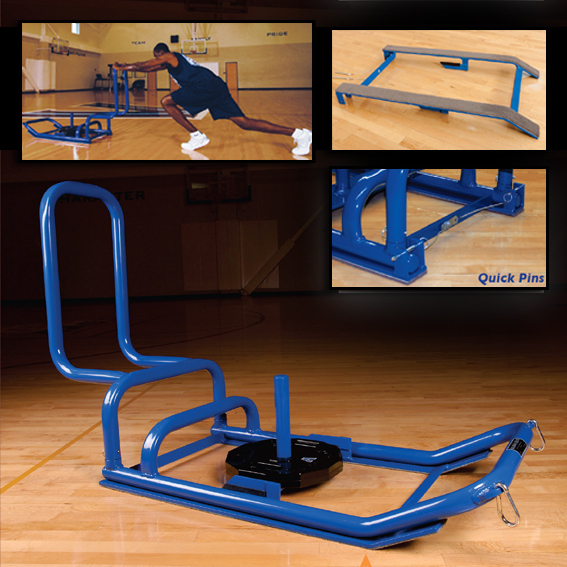 Lateral handlebar allows player to balance his weight and get a comfortable grip before pushing the sled. Pushing the sled develops an explosive burst. The sled can be pulled with a variety of harnesses. 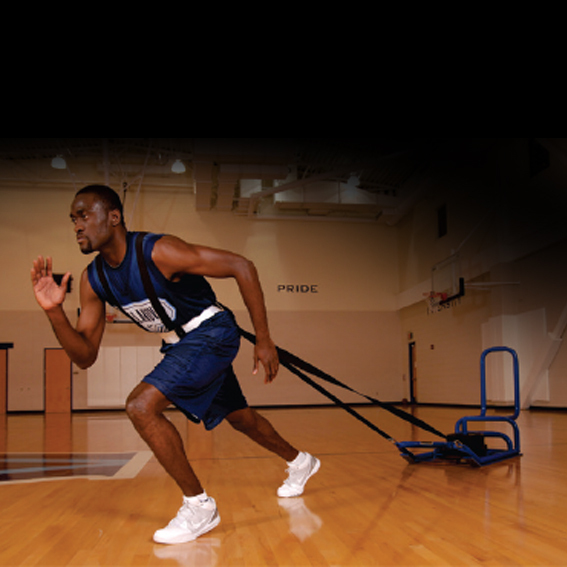 Pulling the sled develops individual as well as overall muscle groups. Weight horn holds up to six plates. Aerodynamic ground runners glide easily over turf or grass. Dual pull hooks keep the sled centered and allow it to move in a "straight-line" path. Eliminates "fishtailing." Available with five different harnesses. All welded chassis. No assembly required. Powder coated. Made entirely of aluminum. Will never rust! 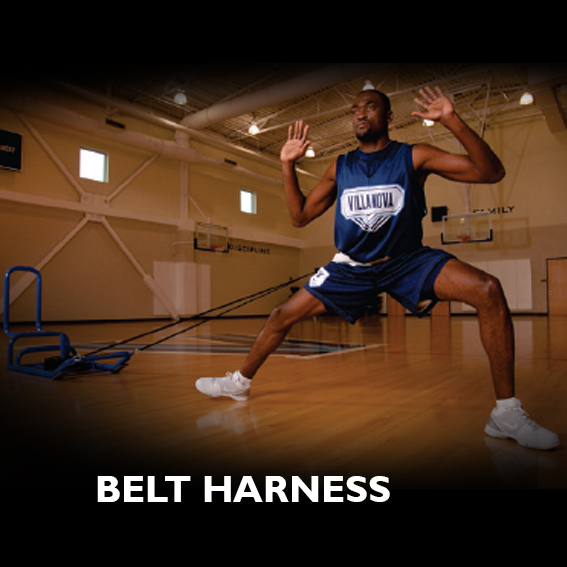 The coaching point is to develop exlosive hip strength and power! Turn speed training into explosive power! 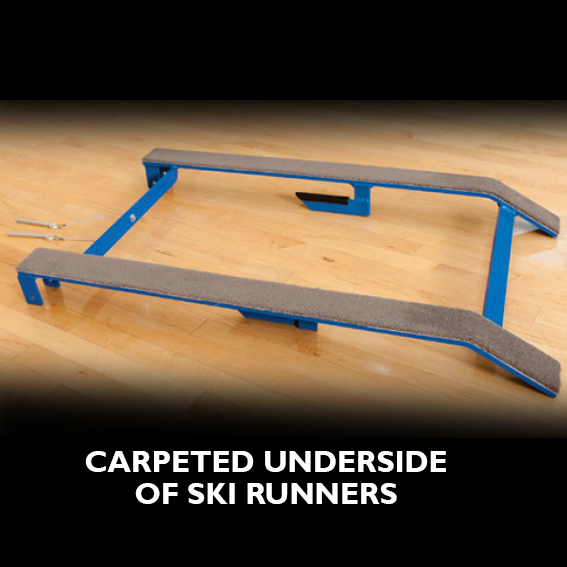 Crab Ski Runners – Ski Runners make it safe to train on the court!